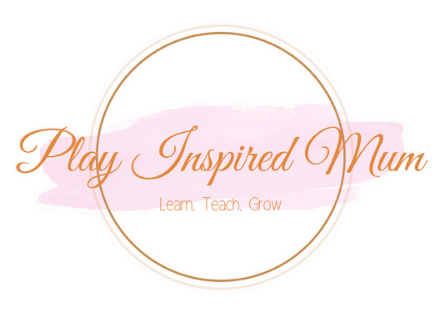 Today I am feeling grateful to be a part of an amazing community of like minded parents who all love to inspire each other with different play ideas. 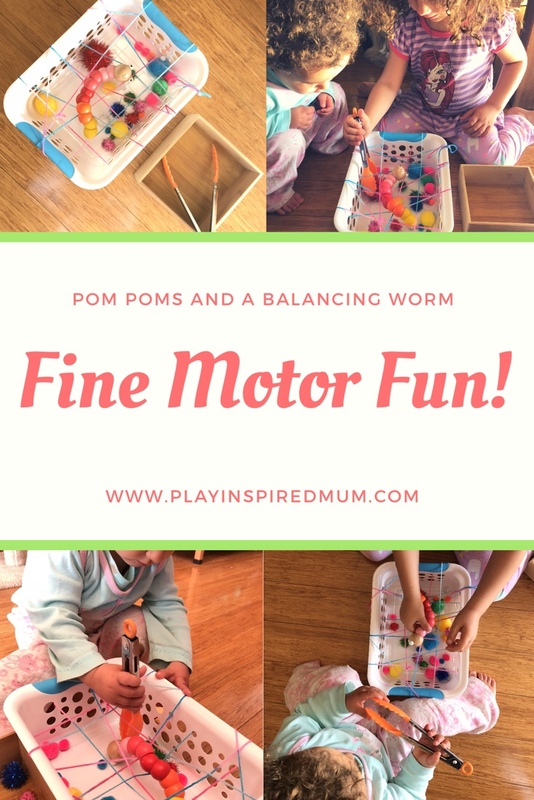 Yesterday one of the lovely mummies shared a beautiful snap of her little one enjoying an activity using pom poms that I just had to recreate. So that is exactly what we did this morning. 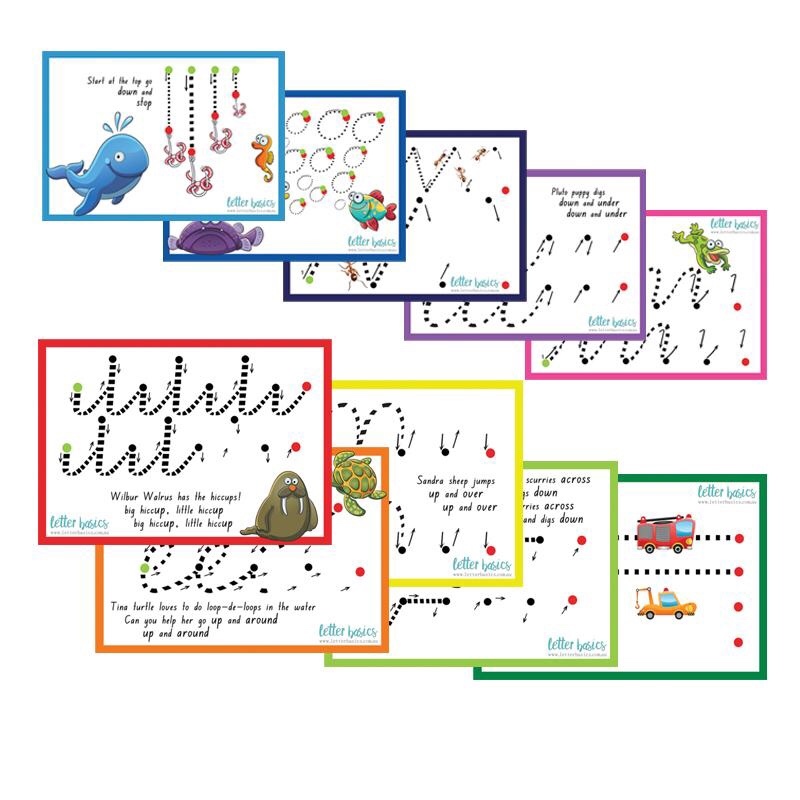 Keeping with our play theme this week, this activity certainly was simple to set up. 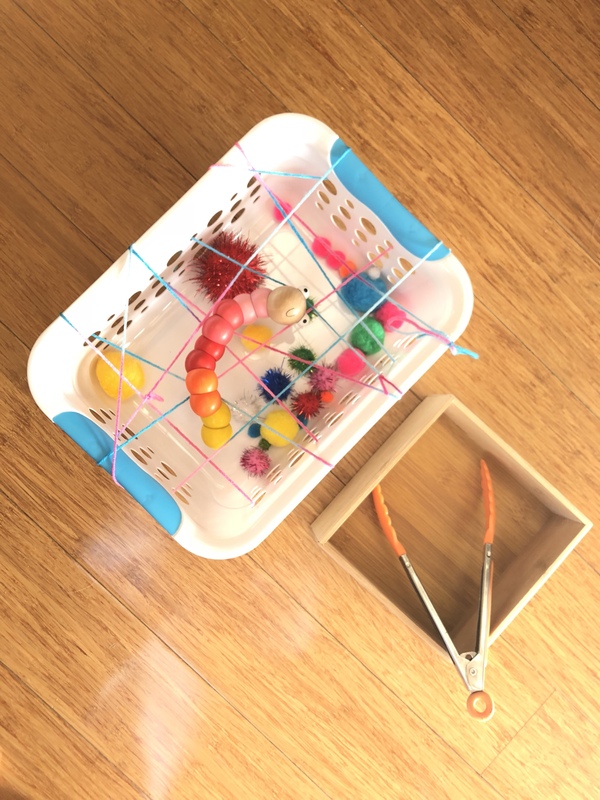 I threaded a length of wool in a zig zag pattern across the top of our plastic basket and then back and forth across the length. Then we dropped in some pom poms and balanced our worm friend on the woven wool. This caught both Miss 4 and Miss 19m attention. 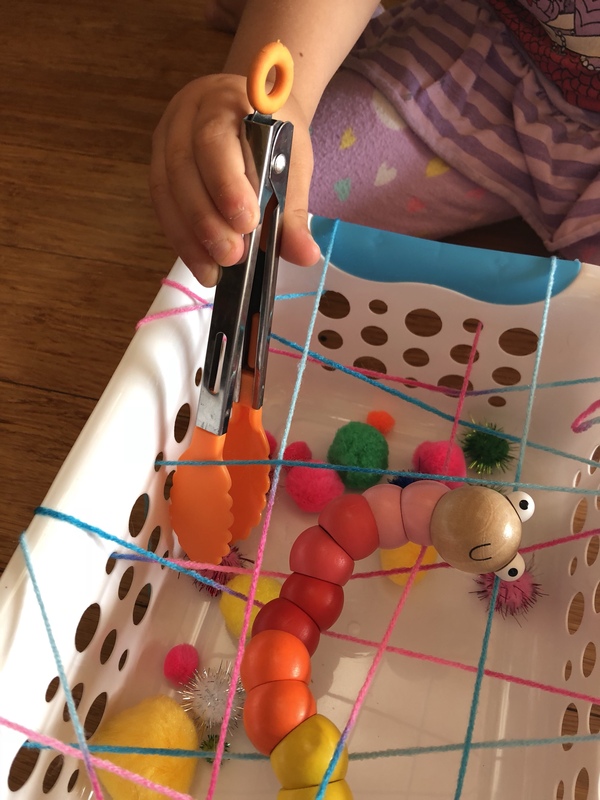 Miss 19m struggled with the tongs earlier in the week so I had set this up more so for Miss 4 in mind. I passed Miss 4 the tongs and gave her he brief. She got straight to work! Miss 4 is right handed. 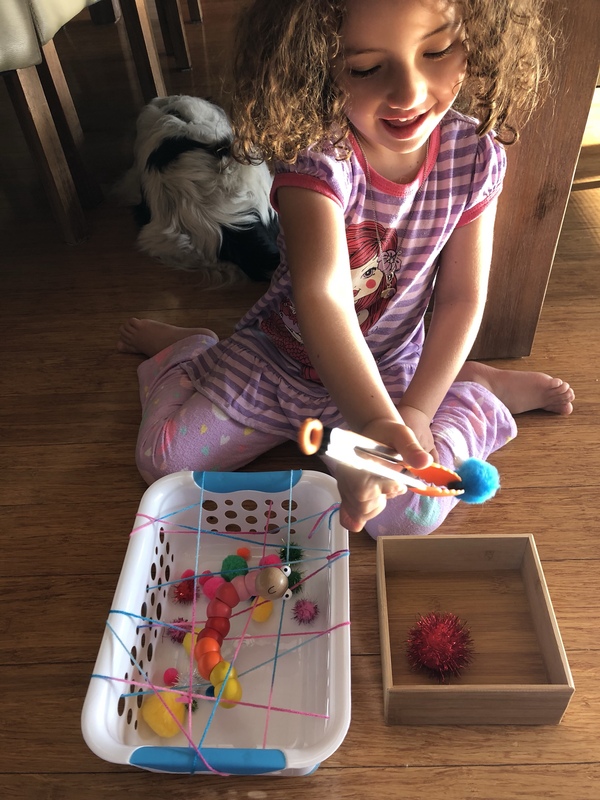 For this reason, I had positioned the wooden box on her left to encourage her to move her right hand over to the left side of her body when settling her rescued pom poms – this skill is known as crossing the midline. 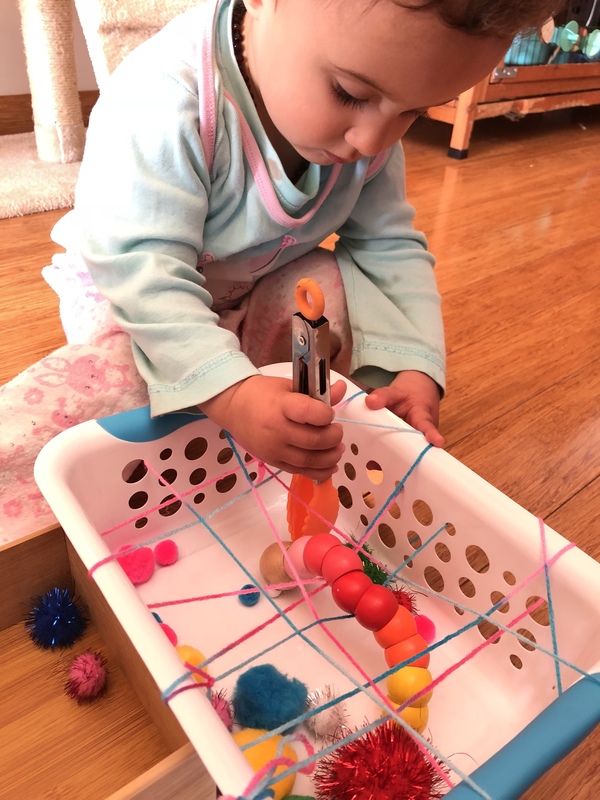 With precision, she used the tongs to retrieve each of the pom poms and managed to complete the challenge without disrupting the balancing worm. 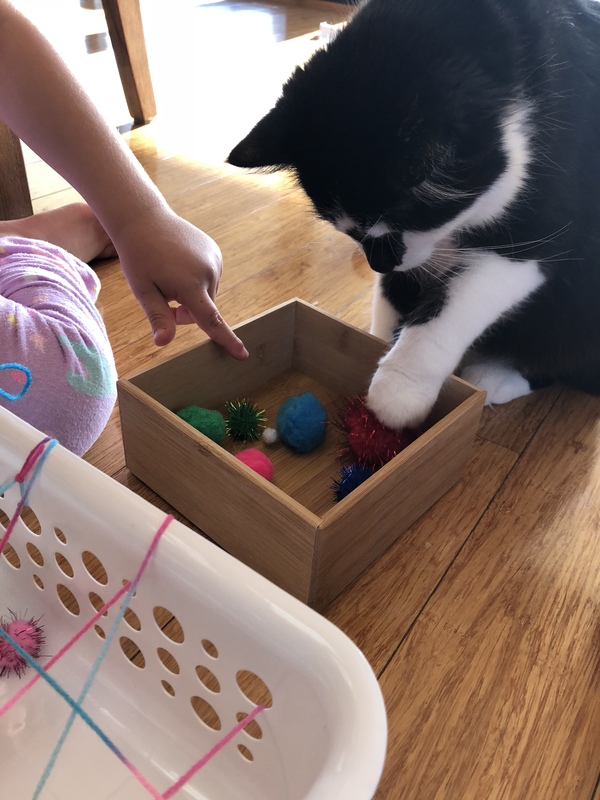 Our pom pom obsessed cat joined in the fun too! 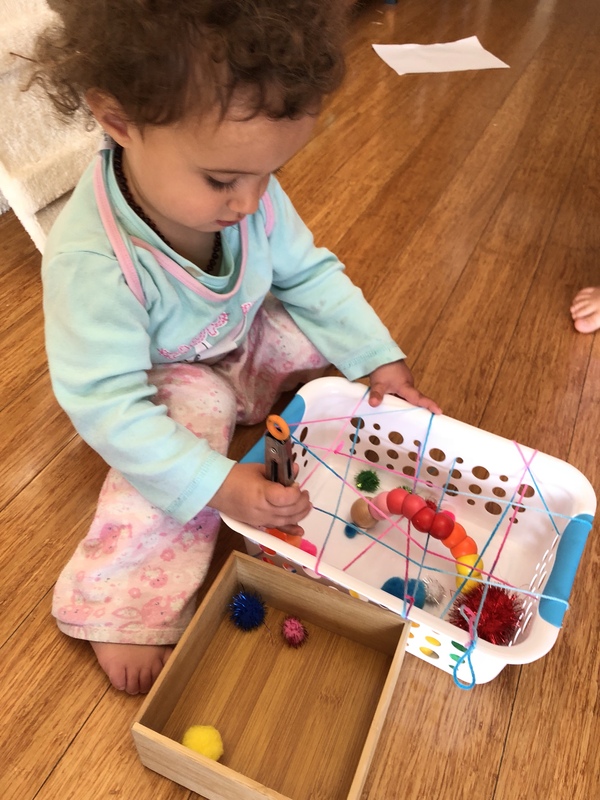 Once Miss 4 had finished her turn, she returned the pom pom to the basket for Miss 19m. She had been watching and then running off to play and then come back again. 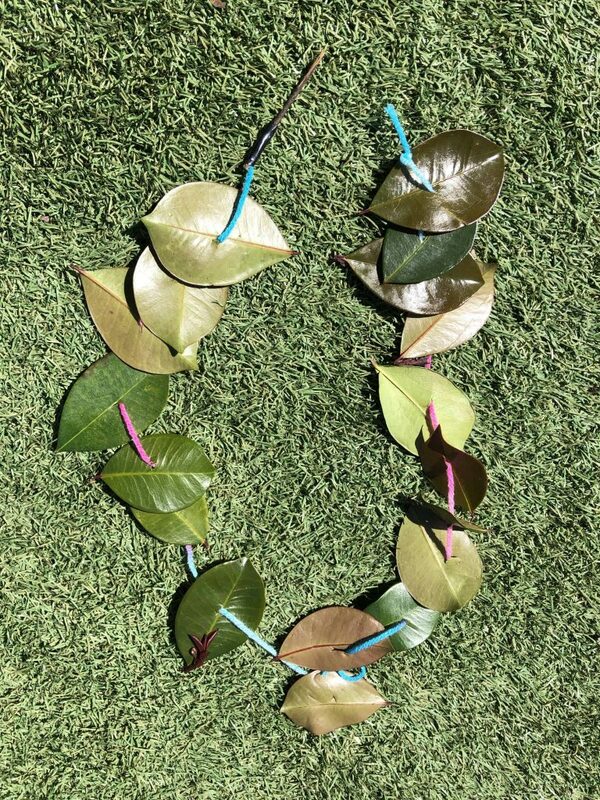 I was really impressed with Miss 19m perseverance with the tongs. Quite a bit of control is warranted to control tongs and while not perfect, she certainly gave them a good go. 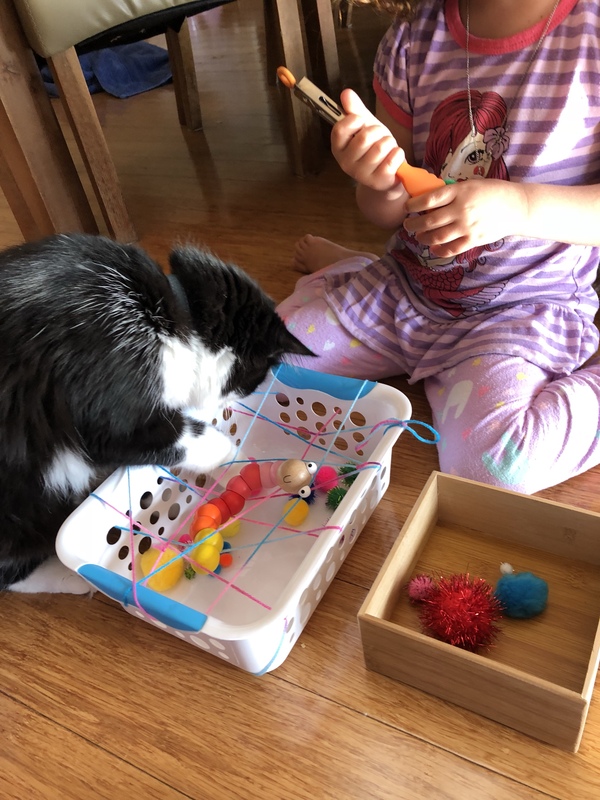 She enjoyed lifting the pom poms from under the woven wool. Her attention hadn’t stretched as far to mind the worm but other than that, she did pretty well. 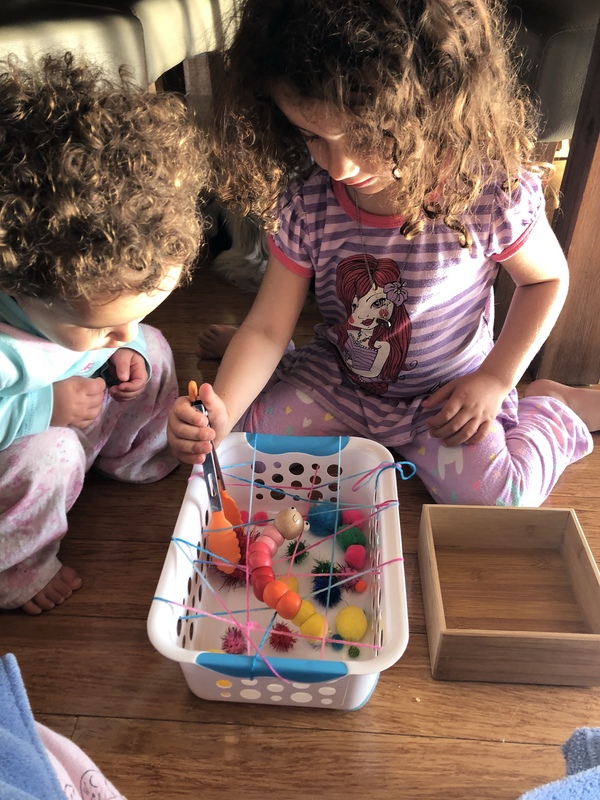 This activity was quick to set up and activity engaged both the girls from beginning to end of the turns. 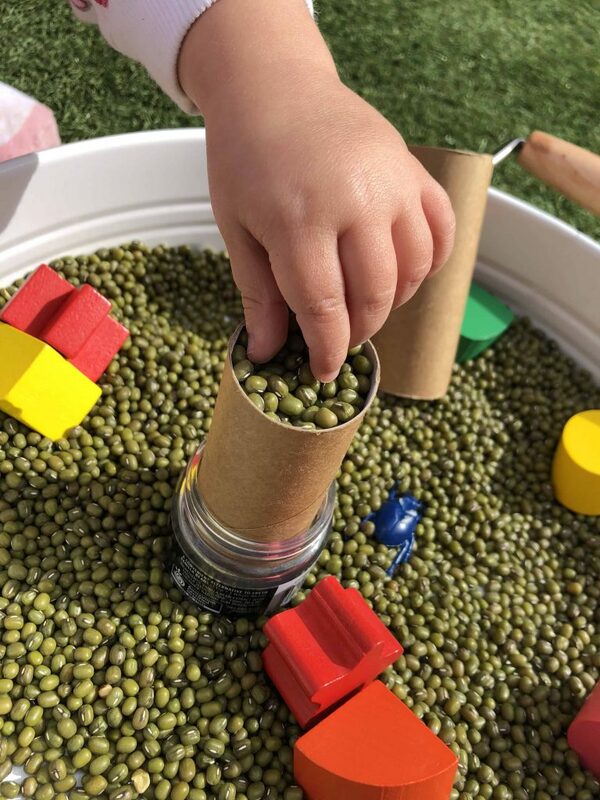 You will often hear me talking about learning through play. 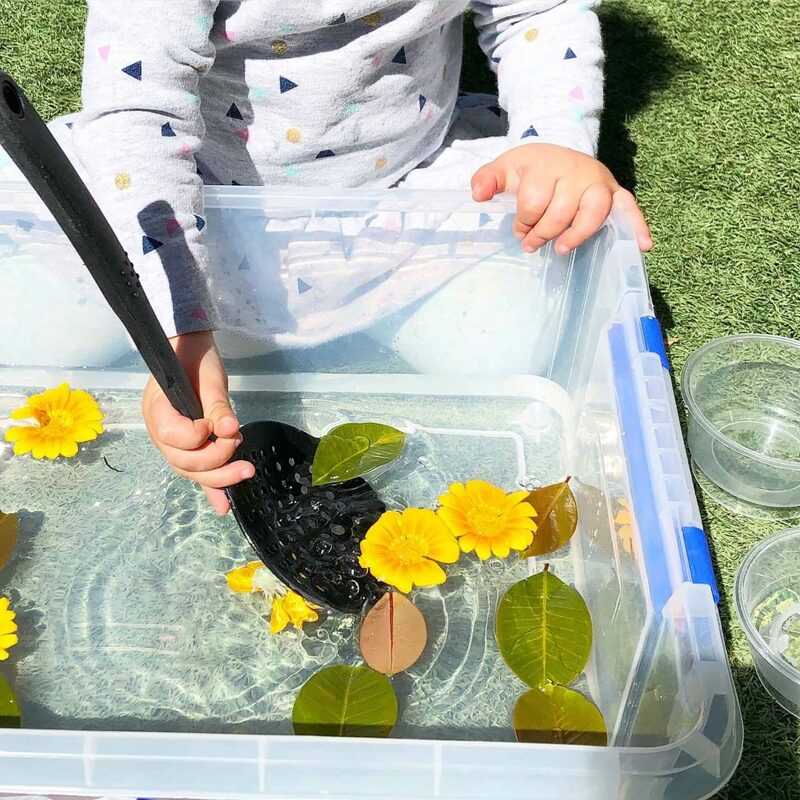 So what can a child learn from this activity? 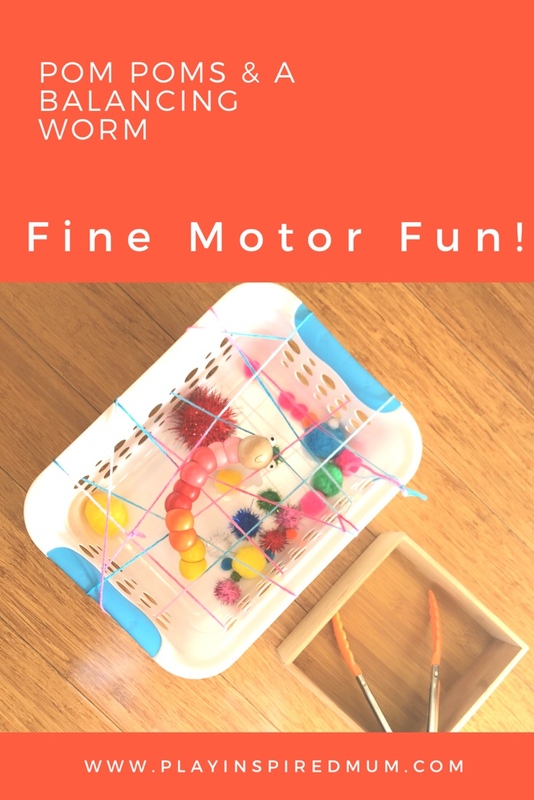 Are you looking for more fine motor activities? 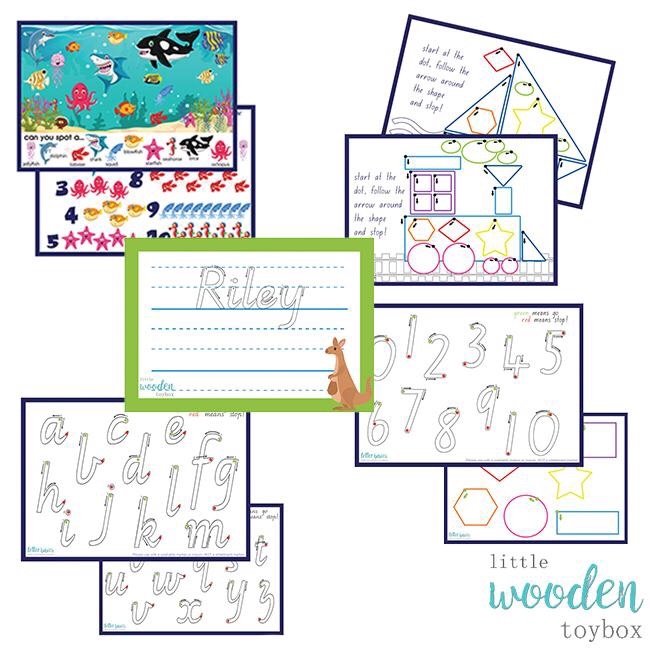 Check out these amazing resources!